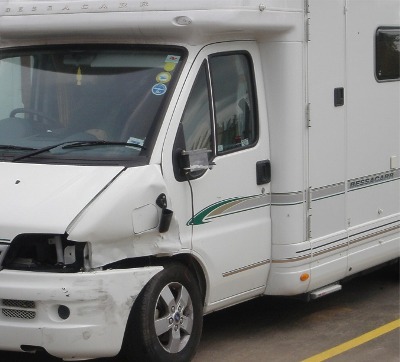 Protected no claims bonus is something which can seem a little confusing at first, as even with protected no claims bonus on your motorhome insurance policy you can sometimes still see your premium increase slightly at renewal after having a fault claim. Hopefully the below will explain why this isn’t so strange after all, and why protecting your no claims is still a great idea. The key thing to remember is that you are protecting the discount itself (i.e. 67.5%) from being removed in the event of a claim, not stopping previous claims being a ‘rating factor’ altogether. This means that if you have a “fault claim” then you still retain the discount, but your base premium may increase slightly. A customer with full no claims bonus who makes a fault claim (without protected no claims) would see their no claims bonus drop from 67.5% to 50% – when this is combined with the increase to the base premium the overall increase can be fairly large. However, with protected no claims bonus the customer’s discount would remain at 67.5%, meaning that the increase in the base premium from having a claim is much less noticeable. In fact, our motorhome insurance customers with protected no claims can make a total of two claims within any 5 year period without losing their no claims bonus. Existing customers can only protect their no claims bonus at renewal, for which there is a small charge that is calculated based on your current premium. New customers can get a quote from us with protected no claims bonus by visiting our motorhome insurance page. Protected no claims bonus can only be applied to motorhome insurance policies with 4 years or more no claims bonus. It is not possible to protect no claims discount where an introductory no claims bonus has been given. Introductory no claims bonuses are given to new Caravan Guard customers who haven’t got an existing motor insurance policy no claims bonus to transfer to their new motorhome insurance policy (introductory bonuses are dependent on the proposed drivers meeting various criteria). If a 4 year introductory no claims bonus is applied to a Caravan Guard motorhome insurance policy it can only be protected after the first year of the policy providing no claims are made. Adding protected no claims discount allows you to make up to two ‘fault claims’ in 5 years without your no claims discount being reduced. If 3 claims are made in 5 years then we will reduce a no claims discount for 5 years (67.5%) to 2 years (50%) and protected no claims will no longer be available. Protected no claims discount is subject to our approval and will be accepted on a case by case basis. All benefits are subject to terms and conditions, cover level and underwriting criteria. For further information please call us and we will be happy to answer any questions you may have.